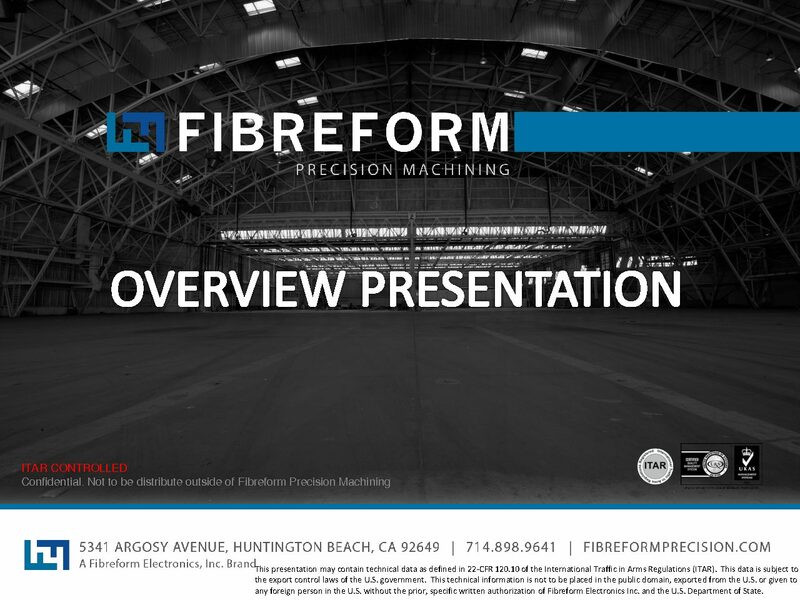 About Fibreform Precision Machining, Axis, Jig Bore, CNC | Fibreform Precision Machining, Inc.
Fibreform is a precision machine shop specializing in servicing your requirements for machined parts. A unique approach to utilizing the newest machine tools available, systematic and logical planning, and experience enables Fibreform to meet a wide range of machining requirements, from ultra-precision short run, short-delivery parts, to quantity production parts at competitive prices. Fibreform by reputation is one of the cleanest, most efficiently arranged shops in the industry. We are committed to quality, on-time delivery, innovation, efficient manufacturing practices, employee growth and customer success. Fibreform Electronics, Inc. was acquired in 2013 by established equity team, Crosse Partners, in order to provide growth-oriented resources for the successful family company. Crosse Partners focuses its financial streams on long-term investment in growing small businesses who have already established stellar reputation. Fibreform Precision (the Fibreform Electronics, Inc. brand) is now poised to become a global leader in the aerospace & defense markets as a precision machining supply chain partner for OEMs, Tier I & Tier II organizations. Crosse Partners sets itself apart in the industry by investing both financial and human resources, taking a hands-on approach to help Fibreform Precision Machining become the essential partner for expert machining the world over. Since 1957 Orlando Spring, Fibreform Precision Machining’s sister company, has led the industry in precision engineered manufacturing of customized springs and wire forms. Commitment to 100% quality and on time delivery has set Orlando Spring apart in the aviation, aerospace, defense and commercial industries. Specializing in compression springs, non-standard extension springs, precision flat stock components, custom wire forms, build-to-print clutch springs, metal stamping and fabrications, engineered custom clock springs, custom torsion springs and double torsion springs, Orlando Spring is an integral supply chain partner.